Yesterday, we had a very pleasant drive across Massachusetts and into Vermont, minus the Boston traffic. This morning is fair and mild. The NWS in Norton, MA, forecasts (for Hartford, CT) a mostly cloudy day, with 60% chance of heavy rain and a high temperature of 81 F. Winds will be from the east at 3-6 mph. 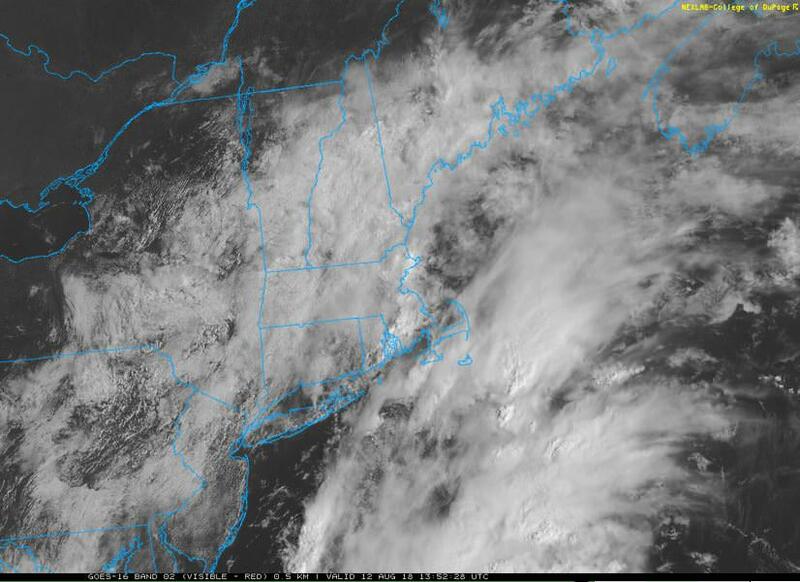 The NWS in Norton, MA, forecasts (for Boston, MA) a cloudy evening, with an 30% chance of showers and thunderstorms and a low temperature of 69 F. Winds will be from the east at 5-8 mph. Boston is under a Coastal Flood Advisory tonight. The visible satellite imagery shows that the entire region is under cloud cover this morning. 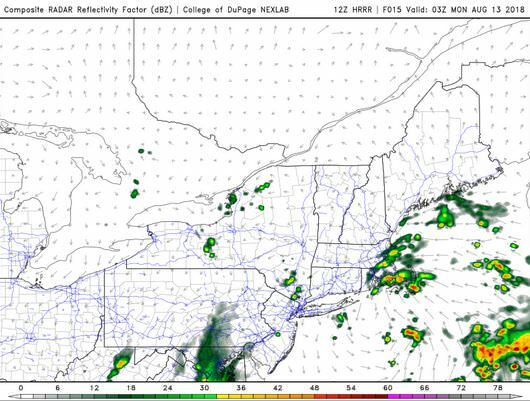 The HRRR simulated reflectivity shows storms moving in from the coast, circling around a small low pressure system over New England. I think it will be a miserable day outside today. We have not fully developed our plans today, but hopefully, they will be mostly indoors. That’s all I have time for this morning. This entry was posted in Local WX, Practicing Concepts, Predictions, Satellite Imagery, travel and tagged #ctwx, Connecticut, forecast, hartford, Massachusetts, MAWX, meteorology, weather. Bookmark the permalink.